The Materials Management department is responsible for purchasing, procurement and inventory services at Providence Care. This portfolio is managed by Shared Support Services of Southeastern Ontario (3S0). 3SO is the not-for-profit supply chain organization voluntarily created by the seven hospitals in Southeastern Ontario. Materials Management and 3SO have been working diligently to prepare for the move to Providence Care Hospital. 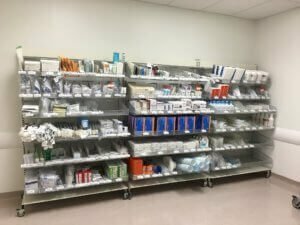 By bringing our two current sites together with a new combination of patient populations, there has been a large amount of work done in order to ensure supplies , appropriate for our combined patient population, are available, in the right quantities and location, on opening day. Ann Van Herpt, 3SO Supply Chain Manager, explains that Jay Skinner, 3SO Supply Chain Supervisor, Material Management staff, and her, have worked closely with program managers to determine what product mixes would work best for each of the different areas. “When the new hospital is open to patient care in April, we have built in extra staffing arrangements and will be doing daily monitoring of the inventory to ensure there are appropriate patient care supplies on hand, providing a seamless transition to the new hospital,” says Ann. “ In addition, supplies remaining at St. Mary’s of the Lake Site, and Mental Health Services Site will be shipped to the new Providence Care Hospital to be consumed, thus allowing us to minimize any waste within the supply chain as we move to our new site”. 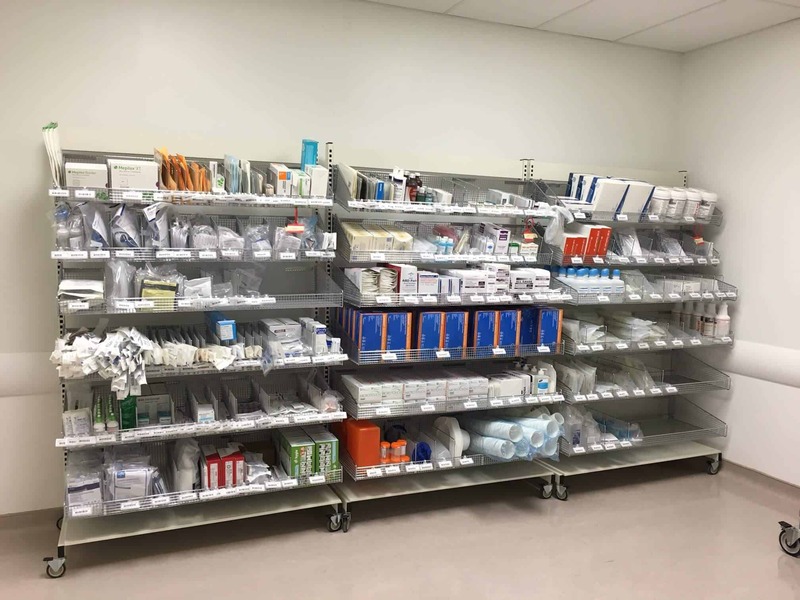 Currently, the Materils Management team has been very busy setting up over 20 supply rooms, or Unit Storage Locations (USLs) at Providence Care Hospital. These USLs include medication rooms and medical/surgical supply rooms, and are located on each inpatient unit in the hospital. The Materials Management department works on an automated technology platform to replenish supplies. Materials Management staff are responsible for the inventory count of supplies on each unit. Hand held scanners are used to scan product bar codes. If the inventory of that product drops below a certain point, an automated order is generated with our central warehouse. The central warehouse, managed by a third party partner, SCI, ships orders overnight. In the morning, Material Management staff deliver supplies and restock the unit storage locations The automated process minimizes manual intervention in the replenishment process. Materials Management also has two Buyers that purchase items that are not replenished through automatic scanning. Another part of preparing for our big move has been a significant amount of data coordination that has occurred for Materials Management as they are also responsible for all of the purchase orders placed by the hospital. A 3S0/Providence Care Project Team has been working diligently with every vendor to notify them of the change in delivery address for both shipments and invoicing purposes. It has been a big task in order to ensure that their systems are updated appropriately in order for deliveries to continue to be made as we transition to Providence Care Hospital in April. I understand there will be an open house, sometime in April I believe, would you provide me with the date and any information that you think I may need in order to attend.